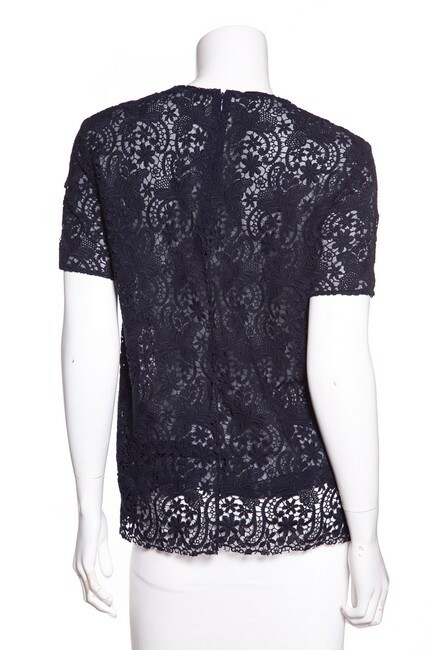 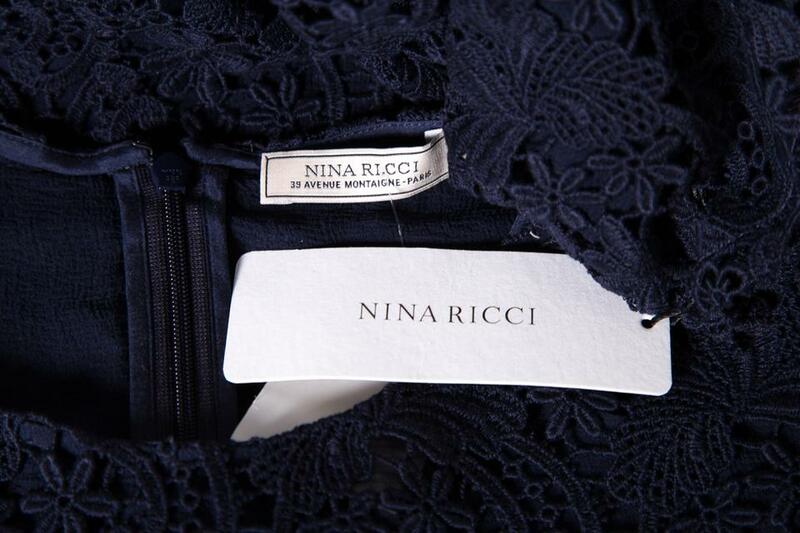 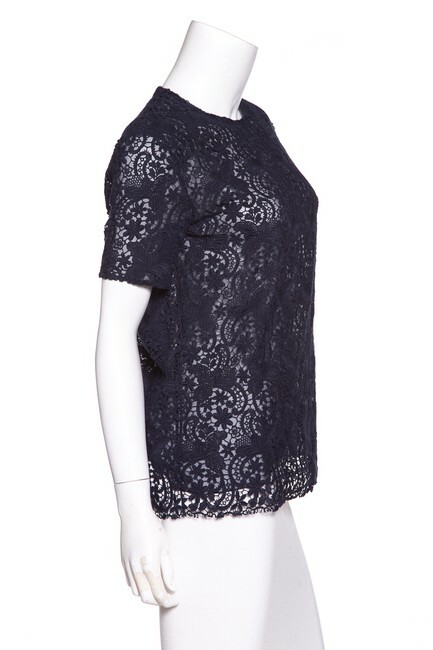 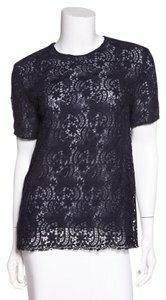 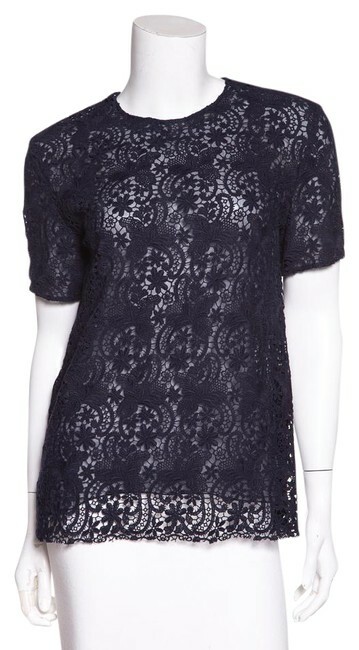 Nina Ricci short sleeve lace top with back zip closure. This item is new with tags and does not contain any signs of wear or imperfections. Approx Measurements: Bust 38", Waist 38", Hip 40", Length 24.5", Sleeve 8.5"